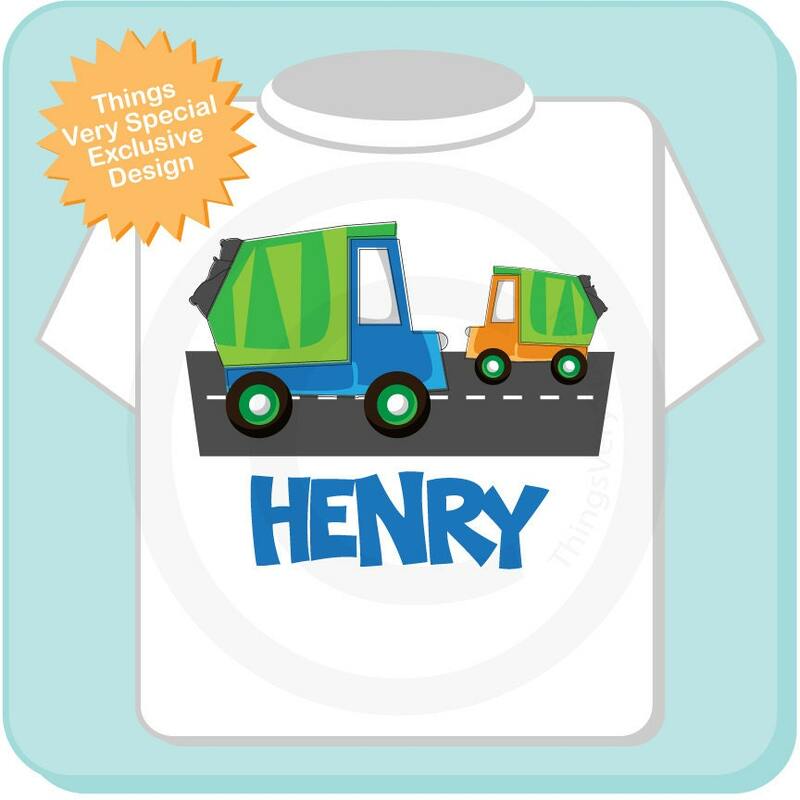 Super cute Personalized Garbage Truck tee shirt or Onesie. This cute green and blue Garbage truck is great for the little boys this one has a little orange garbage truck. turn around time was quick and my son loved wearing the custom t-shirt during his party. Soooo Cute! Thank you very much. Love the design on the shirt only problem you would have to order about three sizes bigger. Excellent quality! Yes,received on time. Will be ordering future items..